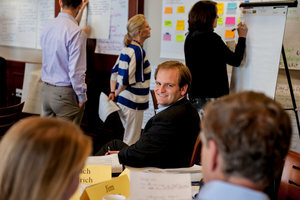 The internationally acclaimed Straus Institute for Dispute Resolution is at the forefront of preparing lawyers and neutrals to settle conflicts by utilizing the full range of dispute resolution processes, including negotiation, conciliation, mini-trials, judicial settlement, mediation, arbitration, and litigation. 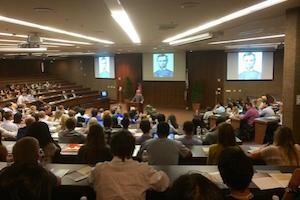 The Parris Institute for Professional Formation is established to make Pepperdine Law School the national leader for developing law students and lawyers who radiate the highest ideals embedded in the earliest traditions of the pursuit of justice and the profession of law. 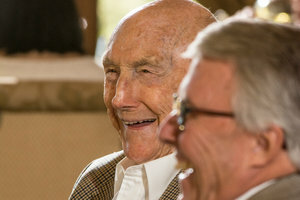 The Herbert and Elinor Nootbaar Institute on Law, Religion, and Ethics was created to explore the nexus between these three disciplines, with particular emphasis on the intersection of faith and law. The Institute encourages the examination of law as a theological vocation from the broad range of Christian, Jewish, and other religious perspectives represented in the law school's students, staff, and faculty. 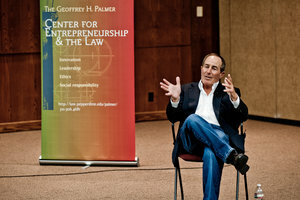 Endowed by 1975 alumnus, Geoffery H. Palmer, the Palmer Center is designed to prepare students for the heightened demands and unique opportunities that technology presents in such areas as business, entertainment law, securities regulation, and intellectual property rights. With a diverse curriculum, the center offers a multidisciplinary certificate program that integrates the study of law, business, and technology, preparing each student (fellow) to be a hybrid of lawyer, business consultant, and financial strategist. Each year, Pepperdine University School of Law brings law students from across the country to its campus for the Wm. Matthew Byrne, Jr., Judicial Clerkship Institute (Byrne JCI). Through the Byrne JCI, students who have been accepted into federal judicial clerkship positions have the opportunity to gain distinctive, comprehensive training by federal judges.